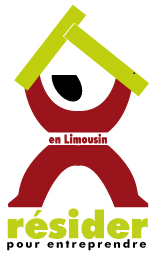 Résider pour entreprendre is an independant association which was created in 2007 by people passionate about promoting entrepreneurial activities as well as their wonderful Limousin region. Working in the professional accompaniment of wanna-be entrepreneurs, one of the founding members noticed that the Limousins welcome policy was missing a certain something, a link in the chain which was very important for its overal success. This link was the ability to welcome the families of the wanna-be entrepreneurs who come from far (not just the entrepreneur) and to provide an accompaniment for their settlement as soon as they arrive in the region, an accompaniment focusing not on the project but on helping them to get orientated in the region and begin to create their network. The idea being that the sooner people feel comfortable somewhere, the more likely they are to be happy and stay. The founding members of the association decided to combine the offers of accommodation and accompaniment for would-be entrepreneurs who come from a region other than the Limousin and to provide them with all the tools necessary to accomplish their goals, re-enforcing their chances of success of a definitive settlement in the region.